A recent change at Facebook is having an impact on police and government agencies that's making them worried. 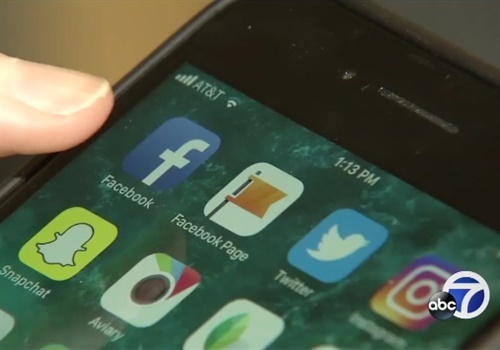 The social media giant has changed its algorithm and residents may not be able to easily see posts from cities and counties, reports KGO. Earlier this month, CEO Mark Zuckerberg announced Facebook was changing its algorithm so users would start seeing more posts in their newsfeed from family and friends, rather than businesses, brands, and media. Government entities like law enforcement have been put into the category of private business. "Anytime you see any type of slip in engagement it's of grave concern because we operate in the public interest and engagement with our public is key to that," said Lisa Caracciolo, the Communications Manager for the city of Palo Alto, CA. She said the city may have to rely more on other social media platforms like Twitter and Next Door. Lately, the Mountain View (CA) Police Department has seen a decline in users reacting and engaging on its Facebook page, which they say is due to the new algorithm. Mountain View city officials are currently looking for solutions to leverage Facebook's wide reach during emergencies.